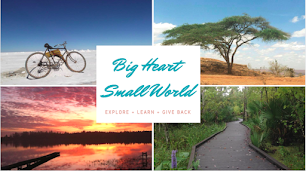 Big Heart, Small World: Where is the "I Do"? Where is the "I Do"? After spending a day of wedding preparation with the Singh family in their small village outside or Varanasi, I was very excited to attend another Indian wedding. A wedding is a week long celebration. The day before the wedding the family prayed for good luck for the wedding and the long happy marraige. We sang wedding songs and colored our feet with red paint. In the evening when it began to cool we hopped on a small paddle boat to head down the ganga river along the small village. To beat the heat we layed the mattresses out on the roof and slept out under the stars. The next moring we woke up with the sun at 5 AM. We packed our bags and headed to the city of Varanasi to prepare for the wedding. The whole Singh family and fiends gathered at the beautiful wedding hall before the wedding to catch up. Some family members came from as far as California to attend. The ceremonies began with a bath for the bride, a bunch of rituals incuding a the bride chewing some gross tasting leaves, carrying rice in her hand, breaking a small clay bowl and painting her feet. She then left to a beauty parlour to get ready. The groom arrived with much pomp and circumstance around 10pm with a band and the whole groom family dancing as they entered the wedding hall where he was blessed. It then began to rain so everyone escaped inside. The bride and groom then met on stage where they exchanged flower necklaces. This was followed by everyone taking photos on stage with the couple. As they sat awkwardly on stage everyone throwing flowers on them and fighting for a chance for a photo, I hit the buffet stand. Curries, bryanies, aloo tiki, roties, sweets, ice cream and a huge bar packed with non-alcoholic drinks. After feasting and dancing we headed back inside for the real wedding ceremonies which would last all night. It began with chanting accompanied by wedding songs sung by the women of the family. Rice was placed of the grooms forehead with the help of ghee, a lard like syrup. They gave offerings to a small bonfire and recited prayers. They then walked around the fire seven times which is called saat phere. The fire is sacred and any vows taken during saat phere are considered unbreakable. The seven circuits around the fire solidify the love and friendship between the two people. After this the groom placed the sindoor, red/orange powder, on the brides forehead. This color she will wear for the rest of her life to show that she is a married woman. The bride and groom were then escorted into a bedroom where they looked like they were being interrogated or given a pep-talk by one of their aunts. I helped prepare a plate with curd and sweets. I was then shuffled infront of the bride and groom and was told to feed them a mixture of the two items in the plate with my hand. It was very exciting to be so immersed into the ceremonies. At about 5am the ceremonies ended with the bride and groom leaving together to the groom's family home. This is a very emotional moment for the bride's family beause the bride will no longer live with her family and will spend the rest of her life with the groom and his family. From then we headed up to the small hotel-like rooms to take a nap. It was very hard to stay up all night but it was worth seeing and participating in the marrage ceremoney.